A Beautiful Gold and Diamantes Necklace with matching Long Dangler Earrings and Forehead piece. A soft metal base with gold plating which will not tarnish and embedded with rhinestones. 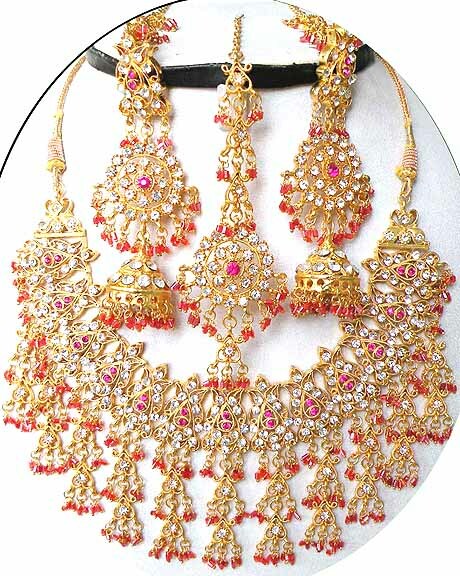 Necklace and Earring Sets worn by Bollywood actresses in Hindi Movies and soaps.